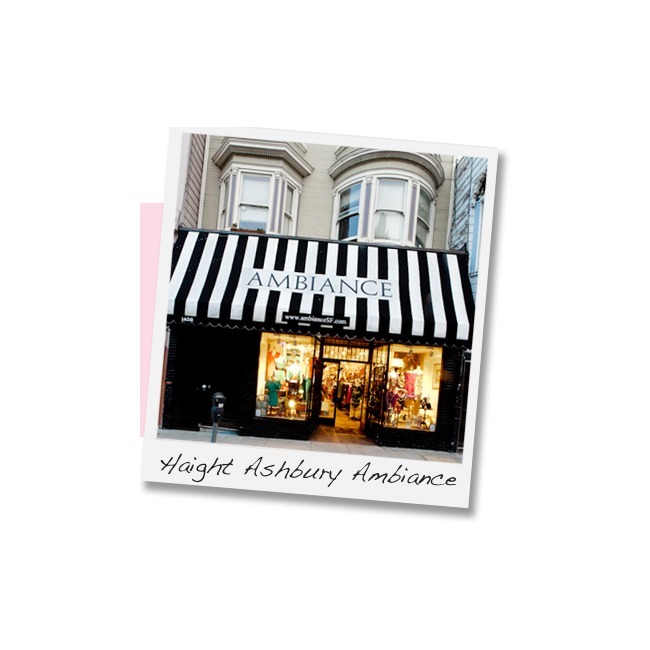 Founded in 1983, we opened our original location in Haight Ashbury and have become one of San Francisco's favorite boutiques. Ambiance has won multiple awards year after year for "Best Boutique". We are known for fabulous dresses, great separates, shoes to-die-for and unique accessories in a range of prices. Ambiance carries things from $5 to $450 so there's something for everyone. But our #1 claim to fame is our incomparable customer service! 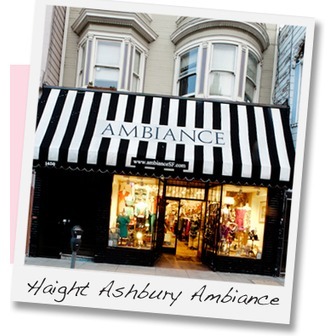 Ambiance has since expanded to three of San Francisco's other hot shopping neighborhoods: Noe Valley, Union Street and our newest location on Irving Street in the Inner Sunset. See our store info page for details. All four stores have a now famous sale section packed full of stylish bargains. Ambiance also has fantastic customer parties and special discounts for registered customers-including on your birthday! Register to become an Ambi-Insider!